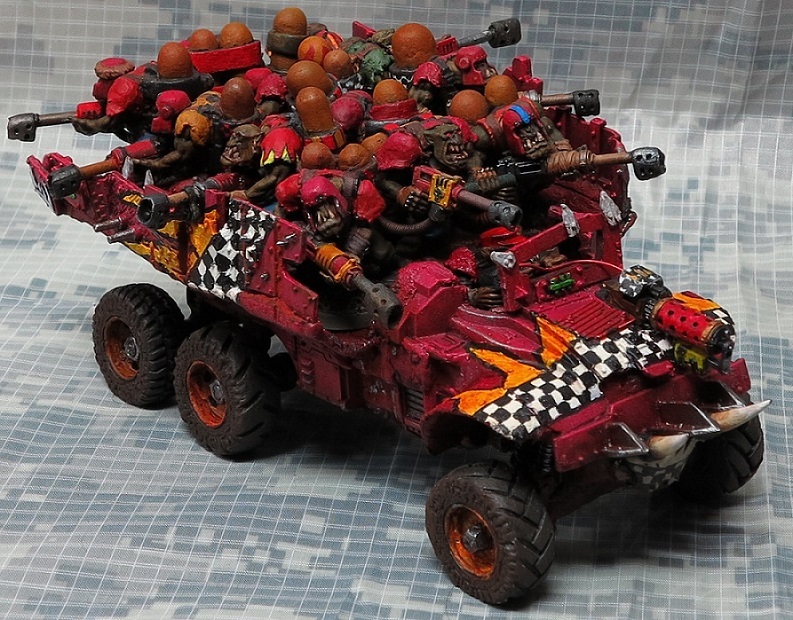 "About all I can see it being useful for is a trukk, which is gonna need extra gubbins from my bitzbox to look proppa, and it cost £5 more than a trukk which would have left me with spare bitz I could have put INTO my bitzbox "; "from the looks I would rather convert it into a dragsta." Sorry guys, I'm not seeing a dragsta in this. Dragsters are all about the engine, and there is no engine in this kit (more from the bitz box! ). 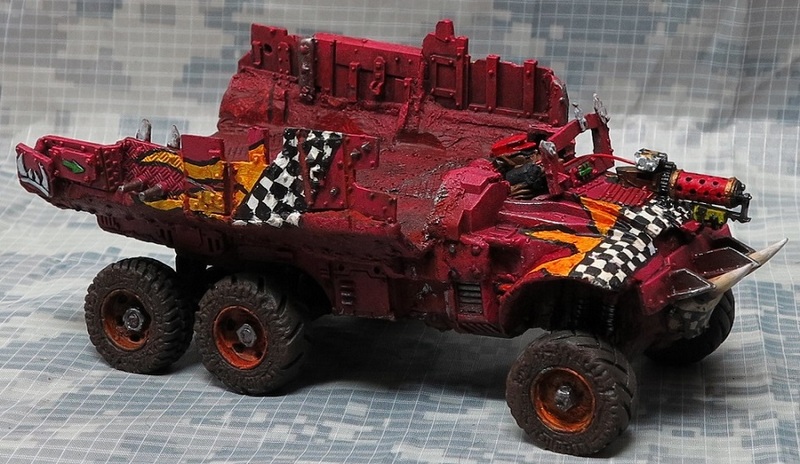 GW did an excellent job of making this what it is, a heavily armed, off-road vehicle. It could be a trukk, a super buggy, or a rat rod. I'm guessing none of which you find appealing Badfang. There are a lot of rat rod trucks on the internet to draw inspiration from. The kit does come with a fair number of weapon choices. Turn it into a walker perhaps? Turn it into a walker perhaps? This should be good. 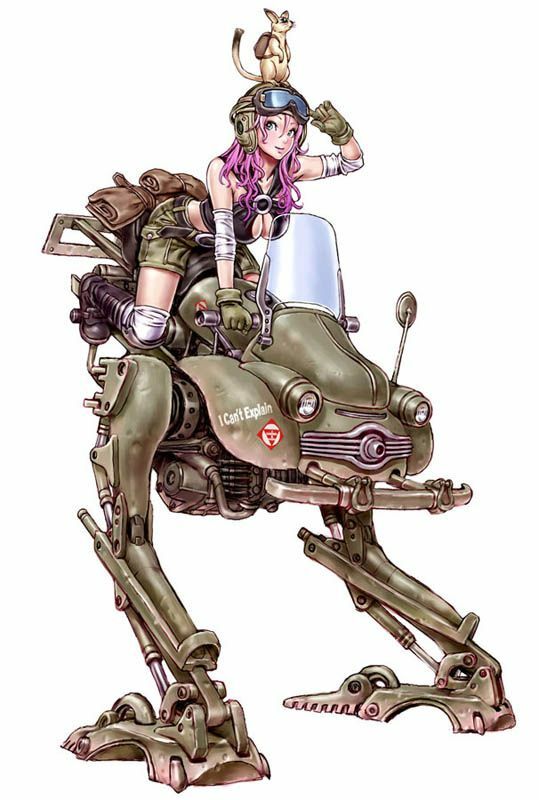 Are you going to use a bomb squig in place of the cute furry creature on the rider's head? I will be starting on Dim's Kustom Stompa tomorrow. Had to widen the trakks to get the gun mount in, which made the engine look too undersized - working on it. i like what you did to the vehicles. completely different from anything i had imagined, but in your unique style. 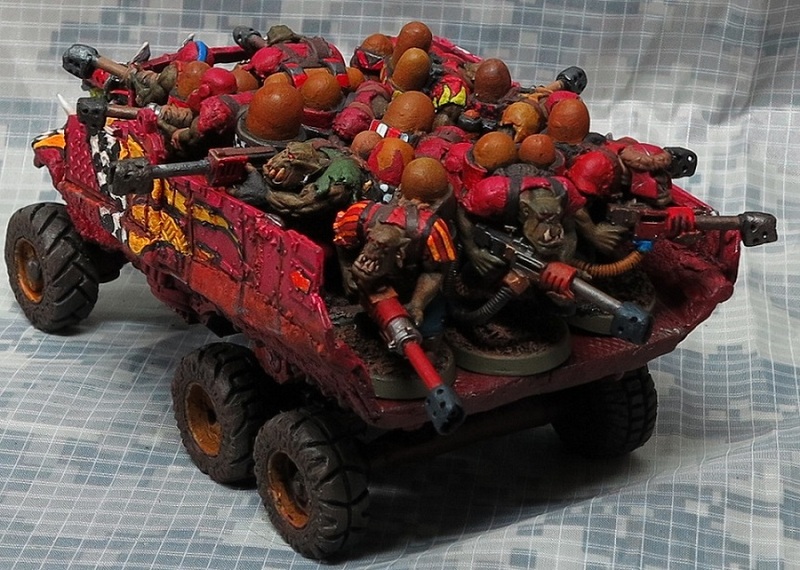 what about a gunner or bullet feeding grot (with a shovel maybe) at the back of the tripple flakka trakk? imho it has a little front heavy shape compared to the flakdakka buggy. "spot da ridgerunner bits " What bits? Where? Everything is covered in Milliput! The buggies and the trike turned out well, I'm liking the entire lot!